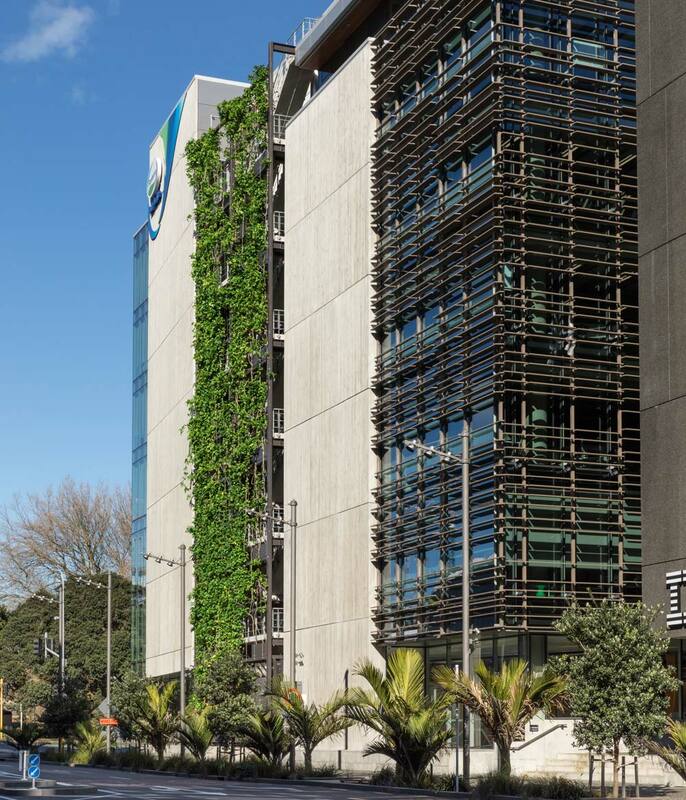 The green facade plant screen on two sides of the Fonterra head office building in the Wynyard Quarter of Auckland, New Zealand, not only looks great but also provides a natural airflow for cooling in the Summer and insulating properties through the Winter months. 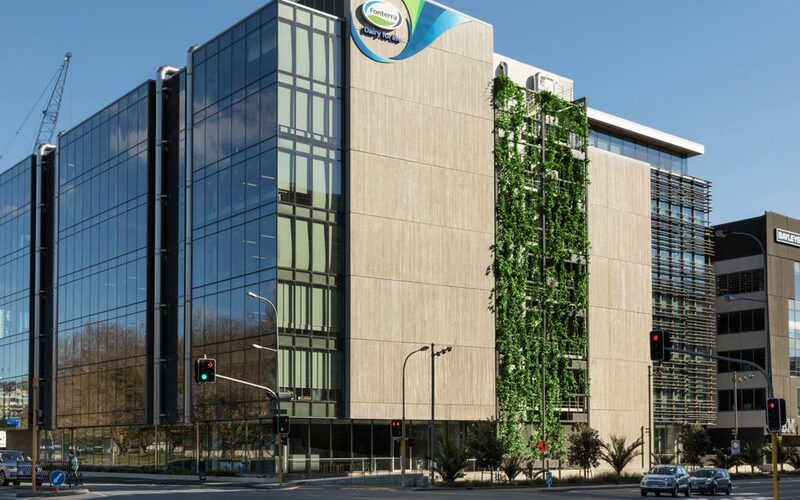 The visual created by the green screen rising up seven levels on the exterior, makes this building stand out in an area quickly getting developed with modern buildings and corporate offices. 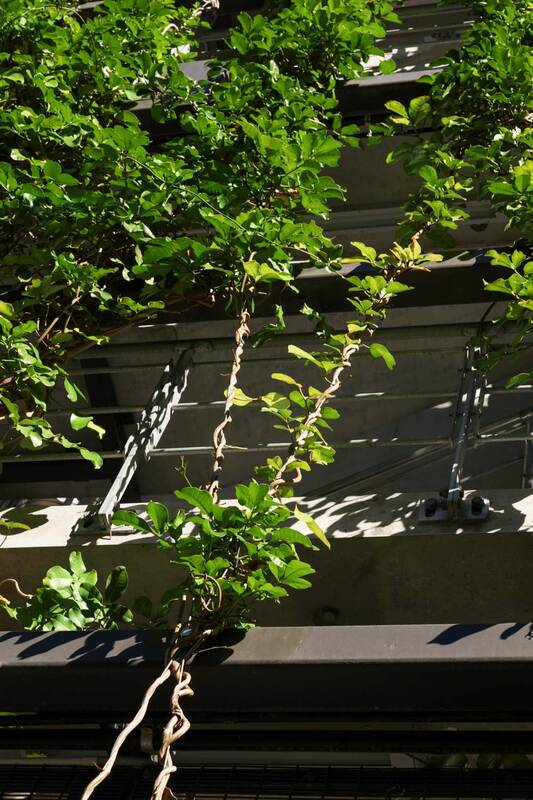 This vision was made possible by Ronstan supplying custom cable and Carl-Stahl components, to our greening partner in New Zealand: Natural Habitats. 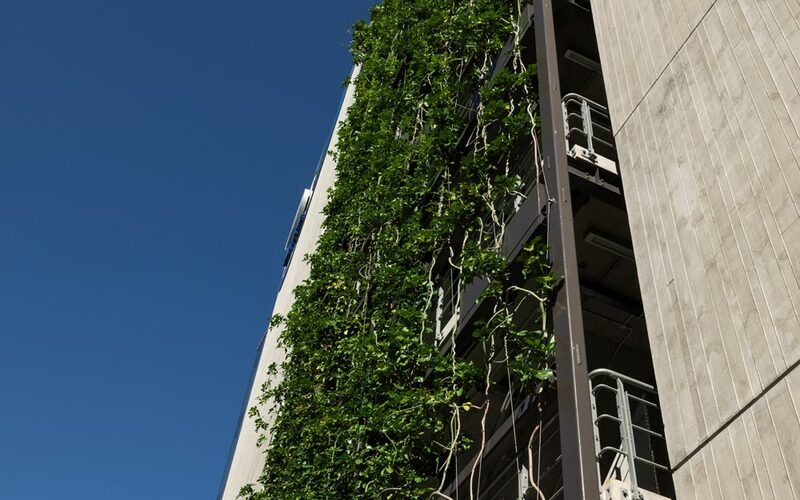 The plants were specifically chosen by Natural Habitats to be able to withstand the harsh conditions and vigorous to cover the growth required on the two sides as designed. Planter boxes are situated in 2 places on every level with irrigation systems to ensure strong plant growth. The installation was completed by the SRS Group. For more information on this project or similar ones, please contact Ronstan.